Social networking websites have evolved into a very effective way for companies to connect with consumers and gather leads. In fact, HootSuite reports that 58 percent of all businesses that have used social media for a minimum of three years say that these sites have helped them grow their business. The majority of these successful businesses employ certain techniques to gather leads properly. In order to grow a list of prospects by using social media, consider these five tips. Many companies create shorter articles, graphics, or videos with teaser content. These compelling posts lead back to a landing page that provides visitors with access to the main content only after they provide their email address and other information. This is a great way to distribute higher quality content and collect leads at the same time. Marketers that are tired of just giving quality content away with few returns might experiment with this effective tactic. People on social sites do love contests. The best way to gather leads from social media contests is to offer prizes that relate to a business. While these sorts of prizes won’t attract as many people, they will attract those with an interest in a company’s products and services. For example, the prizes may include free samples of products, trial offers to online services, or free upgrades. This tactic is much more likely to gather targeted leads than just offering unrelated prizes. On most social media sites, you can create a call to action to drive prospective customers to become leads by filling out a form. Companies should have a goal in mind whenever they create a social media page. Once a goal is decided upon, it’s much easier to create a page to meet that goal. For example, LinkedIn is a good resource for B2B leads so it is important that your page has an attractive header graphic and description that’s targeted towards a lead-gathering offer. The same can be done with sites like Twitter and Facebook to gather B2C leads. One thing that social media is good for is its ability to offer targeted ads that are based upon intelligence that these sites are able to gather about their members. All three of these methods are useful tactics for lead gathering. It’s a lot easier to collect leads right inside of the social media site instead of having to first attract members off the site and back to a company website. Many of these platforms have the tools to make this easy. YouTube now allows companies to embed lead collection right into videos. Twitter Cards allow marketers to do the same with Tweets. Rather than trying to draw visitors back to a landing page, consider trying to simply gather leads right at the source of the initial post. 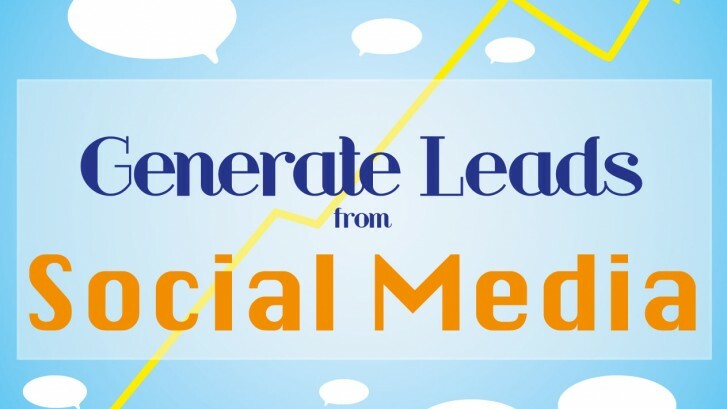 Since social media sites give companies such a consistent way to connect with potential customers, they should be an ideal place to begin collecting leads. The right tactics may depend upon the company and the particular campaign. By experimenting with these resources, most marketers should be able to find an effective set of tactics that work for them. Dori O’Neill is in the business of helping individuals and business owners achieve success through proper business practices and reputation management. He maintains offices throughout the world and has lived in Canada, United States, Japan and Hong Kong. If you need more leads for your business, visit http://leadlures.com today.